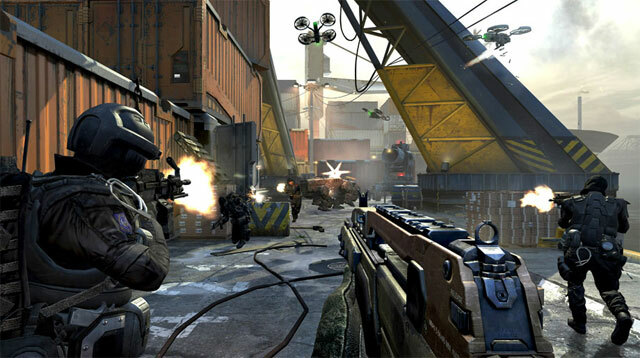 Love it or hate it, the Call of Duty series has been a regular fixture on consoles for many years and for good reason. It provides an exhilarating multiplayer experience alongside typically short but fun single-player campaigns. It’s often criticised for failing to “evolve” and innovate, despite a number of entries in the series doing just that for an entire genre. 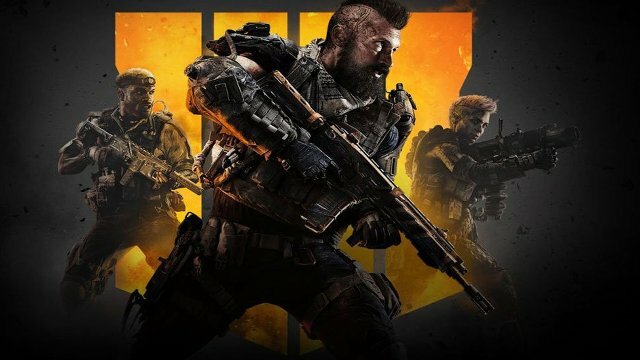 The series isn’t going away, and if Black Ops 4′s critical and commercial success is any indication, it’s only going to get bigger (and hopefully better). 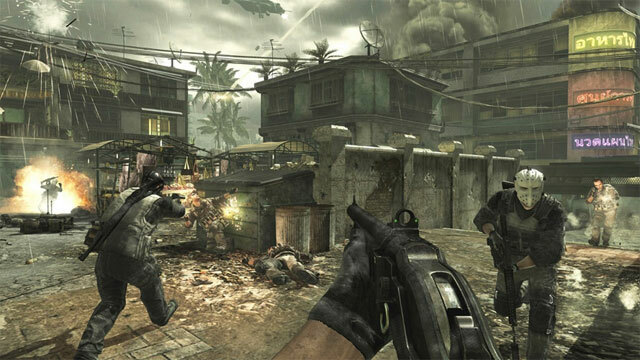 We’ve ranked the Call of Duty games from worst to best. What do you think of the list? 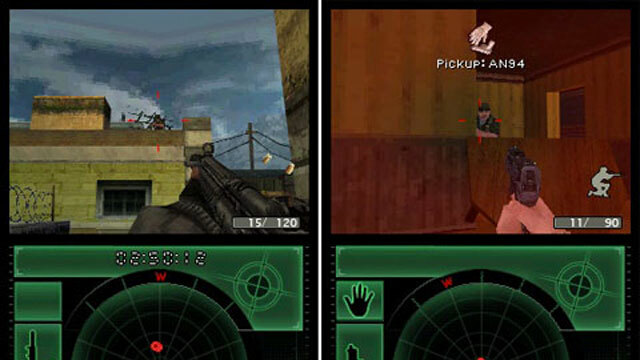 Black Ops Declassified was supposed to be one of the PS Vita’s first true AAA games. It was announced in 2012, and went MIA for a long while. 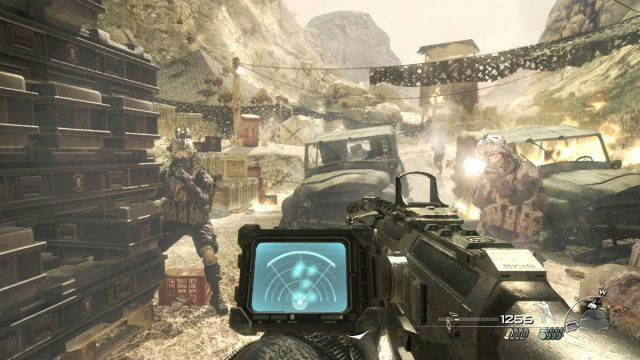 Gamers were cautious for Call Of Duty‘s Vita debut following the terrible Resistance: Retribution, which was developed by the same studio behind Black Ops Declassified: Nihilistic Software. As expected, the game launched to little fanfare (and almost no marketing from Sony or Activision), and it struggle to gain much traction after being destroyed by critics. Its poor controls weren’t all that was wrong with this game: its terrible multiplayer map design and flimsy controls made it a chore to play. This is one of those “not bad, but not good, either” kind of games. 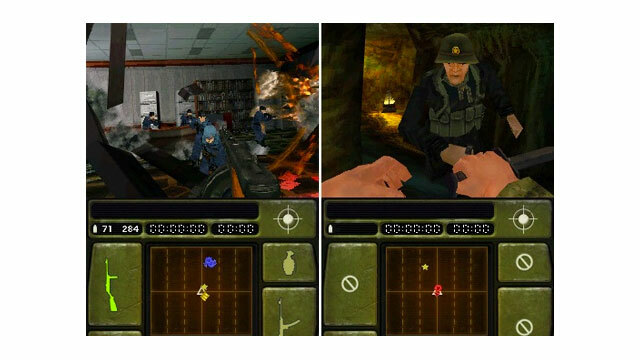 Roads To Victory struggled to really emphasis and celebrate the Call Of Duty experience in its transition to a handheld. Much like the above game, it was hurt by terrible controls and made level design. It was saved somewhat some mixed reviews, and its online multiplayer, revolutionary for the time on a handheld, made it a worthwhile addition to any PSP owner’s collection. 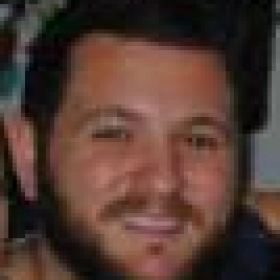 But overall, it was a mostly forgettable outing. Activision jumped on the mobile bandwagon with Call Of Duty, introducing the world to Strike Team, which ended up being an extreme disappointment. It has the depth, and its tactical options and unlocking features are actually quite good, but its controls and presentation hurt it. This is actually a surprisingly good handheld shooter. There’s a stack of great features, and the controls actually hold up despite being on a handheld not ideal for first-person shooters. Strangely, while the PSP seemed like the more ideal platform, this game really helped establish the DS as a great platform for the Call Of Duty‘s transition to handheld, which to this day still hasn’t been matched. Infinite Warfare never had a chance. The game was absolutely blasted by the gaming community upon reveal, and while it still managed to be among 2016’s most popular games, it was well below the sales and quality expectations established by the franchise. Such was the negative response to the game’s space-bound adventure that publisher Activision promise to bring the franchise back to the ground with 2017’s entry. Infinity Ward’s last Call Of Duty game is the worst entry in the main series to date. Its forgettable story was a chore to complete, while its multiplayer map design left a lot to be desired. Many felt that Ghosts was a “filler” game before Advanced Warfare, which would hit the following yet. Perhaps we could have done without Ghosts. Still, it managed to find a sizeable audience and community, and managed to sell well despite being one of the lowest sellers in the franchise’s history. This came before the aforementioned Black Ops DS, and it’s just as good, if not better. It basically plays as a carbon-copy of Modern Warfare 2 on the story and mission design front, and still holds up rather well considering the technical restrictions of the handheld at the time. If you’re for whatever reason looking for a shooter on handheld, then this is the one for you. There’s nothing noticeably wrong with Call of Duty 3, but it came out at a time when gamers were tiring of the World War II setting. It’s a completely competent shooter, and the campaign still holds up next to other entries set in the era. Maybe, just maybe, we’ll return to this setting sooner rather than later. It wasn’t met with as wide praise as other Modern Warfare entries, but Modern Warfare 3 is still solid in its own right. Familiar and not at all innovative, Modern Warfare 3 was still an engrossing FPS experience, even if the multiplayer component was a bit of a disjointed mess. If Black Ops 3 does one thing right, it’s offer superb value for money. This is probably the most content-packed Call Of Duty game we’ve seen, but it’s so far down this list simply because of its place among a saturated genre of wall-jumping, jet-pack boosting shooters. 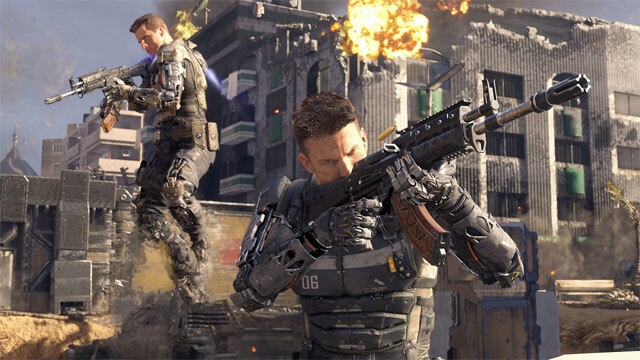 After the solid if a little refreshing Advanced Warfare, Black Ops 3 felt tiring at times, even if it did hold up as a solid shooter in its own right. Its campaign, while explosive and fun, was mostly forgettable. Fans had been calling out for “innovation” and change for a while, and they got that with Sledgehammer Games’ Advanced Warfare. This game proved that the series has life yet with smooth, balanced and exciting gameplay. Advanced Warfare thrusted Sledgehammer Games under the spotlight overnight, thanks to the game’s much-improved campaign and exhilarating multiplayer. Black Ops 2 tried to revolutionise the Call of Duty campaign, and was the first in the series to really push a non-linear story. It worked in patches, and the game’s movement in and out of different time eras was met with praise from critics and gamers alike. 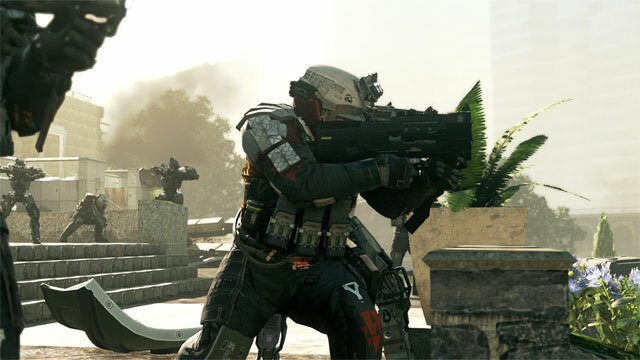 The multiplayer also seemed to do enough to revolutionise the Call of Duty experience, even if its successor in Ghosts appeared to undo the great efforts of Treyarch. 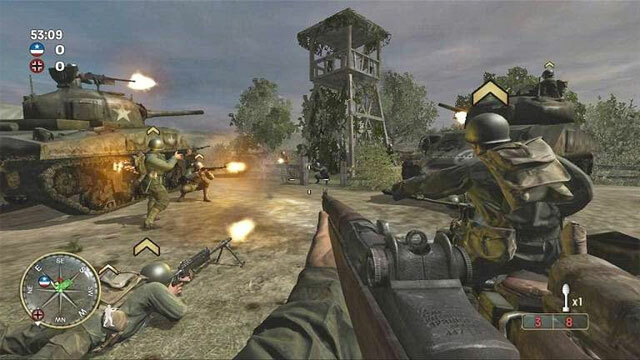 World War II saw a much-welcomed return to the World War II setting, leaving behind the wall-jumping, futuristic shenanigans that had defined the series for years. 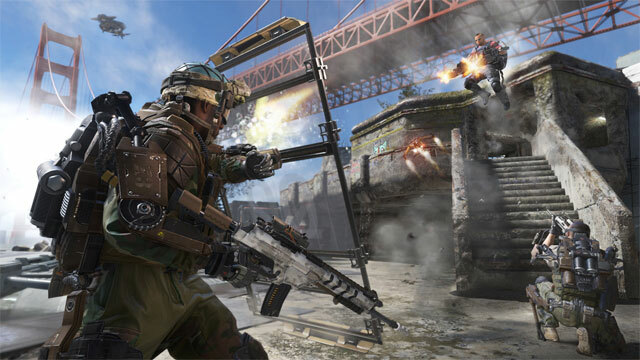 Sledgehammer Games may well have reestablished Call of Duty is being a ground, fun first-person shooter, one that need no longer rely upon an abundance of class options, killstreaks, and wall-running. While it’s far from the best Call of Duty, it was still an impressive return back to what helped shape the Call of Duty franchise in its early years. 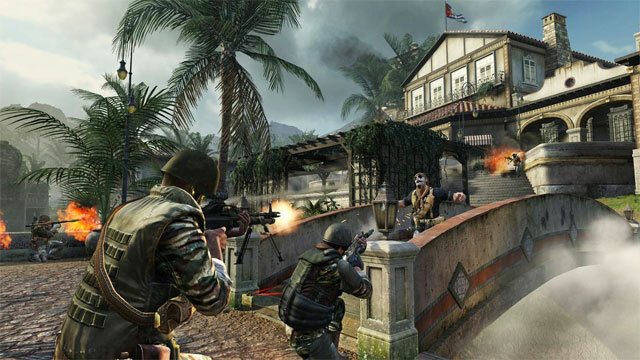 Black Ops delivered arguably one of the Call of Duty series’ most compelling campaigns. While it lacked the non-linearity of its direct sequel, it was an interesting and refreshing break away from both the “modern” landscape of Infinity Ward’s Modern Warfare series, as well as developer Treyarch’s World War II setting from World at War and Call of Duty 3. There’s something about this year’s Call of Duty. 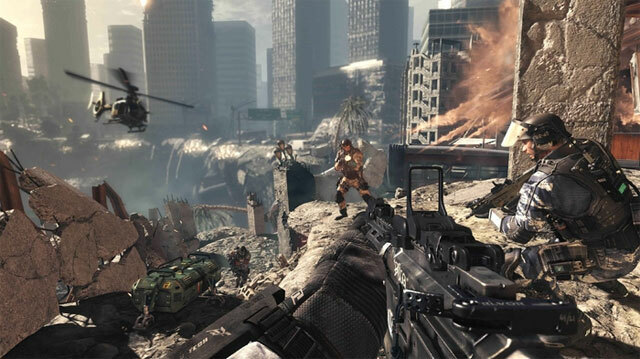 While it’s the first entry in the series to have ditched the single-player component — a huge risk considering there is a surprisingly strong contingent of gamer that actually enjoys and buys Call of Duty for its campaign — it’s also the first entry to add a completely new game mode on the multiplayer front, perhaps since Zombies was introduced back in Treyarch’s early days with World at War. Blackout may well be gaming’s most refined and slick battle royale-style game, and it comes bundled with a solid multiplayer offering across fan favourites. And of course, the ever-popular Zombies mode. While its campaign didn’t quite meet the emotional heights of its predecessor, Modern Warfare 2 still offered one of the best stories in the series’ long history, alongside a refined and deep multiplayer experience. The Spec-Ops co-op mode was a fantastic addition, and while it was one of only a few new additions to the game from earlier Call of Duty entries, it helped created one of 2009’s best games. 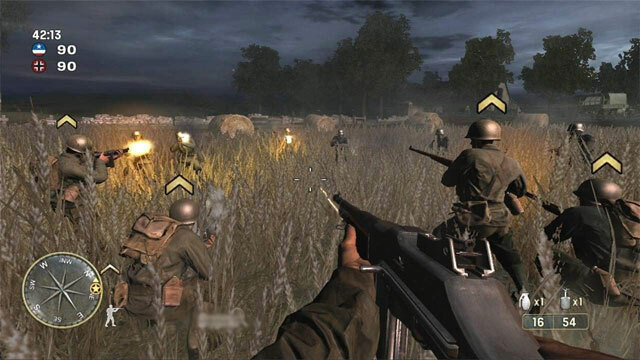 This under-appreciated gem returned to the World War II setting after 2007’s fantastic Call of Duty 4: Modern Warfare. It’s a solid, confident shooter that never felt held back by the return to what was at the time an overused era of conflict in games. While it doesn’t quite go to lengths to revolutionise the Call of Duty multiplayer experience, its superb map design and progression depth makes it one of the all-time greats in the series. At the time of its launch on Xbox 360, it was the best looking console game ever created and by a big margin. 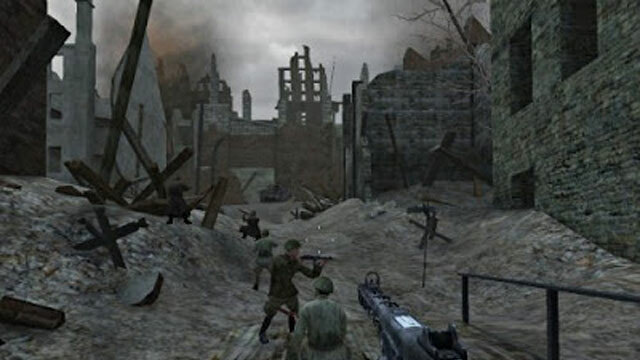 Its PC release was met with wide critical acclaim, as was its console launch, including the release of Big Red One on PS2, Xbox and Gamecube. 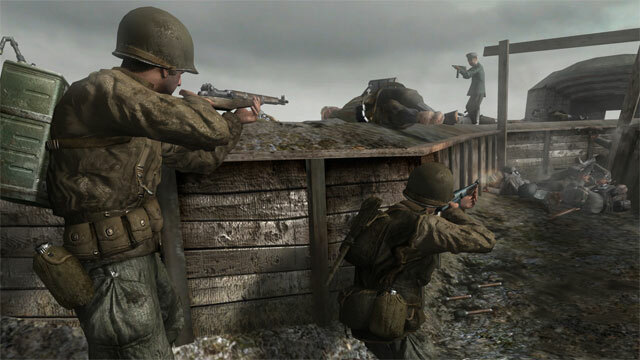 Its multiplayer still holds up today (not that you’d ever find a game …), and its campaign was an exhilarating ride through a powerful and engrossing World War II tale. 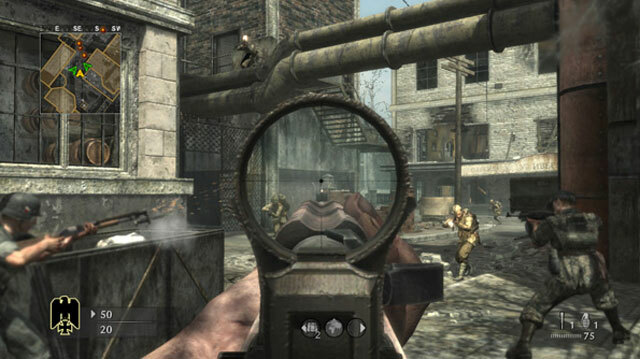 One of the most well-received first-person shooters of all time was given a remastered re-release alongside Call of Duty: Modern Warfare 2 in 2009. 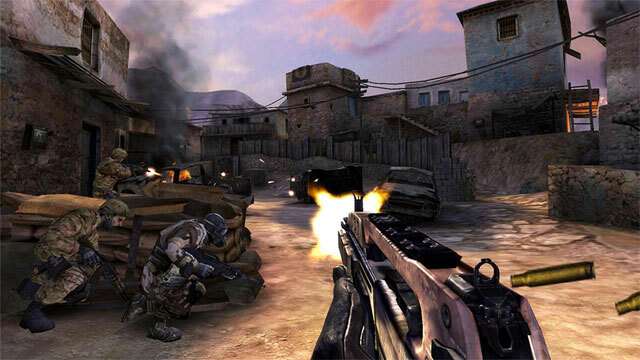 It received many “Game of the Year” awards upon its original release in 2003. Infinity Ward would become a household name among gamers with this release, set for big things with Activision and the Call of Duty name. The original and (one of) the best. 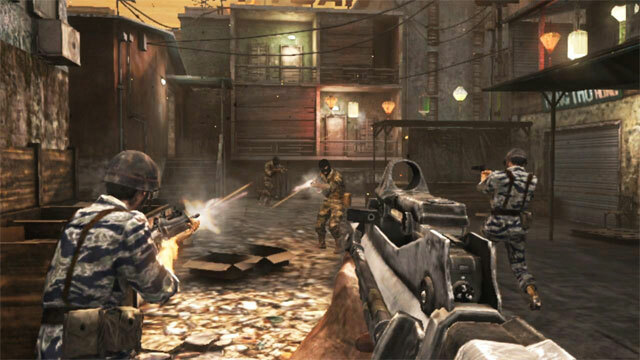 There’s no denying how influential Call of Duty 4: Modern Warfare was on the genre upon its release in 2007. It sold consoles and quickly became the game to play online, a title it held for many, many years. 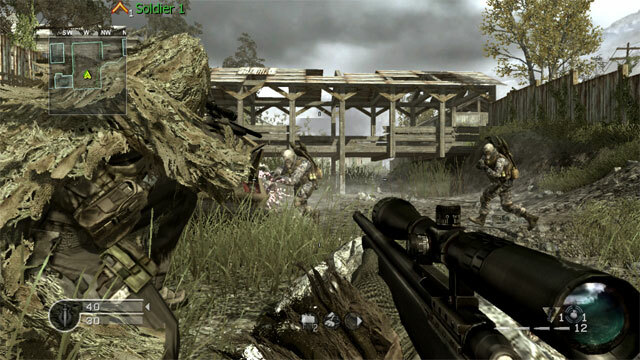 While the online population is small in comparison to its first few years, CoD4 is still a special online game, bringing the Call of Duty series into a modern setting and introducing a balanced, deep and satisfying online component with it. There’s also its campaign, which still holds up today as one of the more compelling console experiences of the past decade. It’s not only the best Call of Duty of all-time, but it’s also one of the best games of all-time. That’s why we’re getting Modern Warfare Remastered. What do you think of the list? What changes would you make?